The dichotomy of being conventional or unconventional is a strange one, especially in a North American culture. A capitalist society seems to encourage us to be ambitious and to be individuals, to strive for success and to be better than everyone around us. We stress individuality, perhaps more so in Canada (cultural mosaic) than in the United States (bubble on o’ melting pot), because that’s what separates multi-billionaires like Bill Gates from the average person who slaves away for ten bucks an hour. Bill Gates, Steve Jobs, Ted Turner, Rupert Murdoch… these guys, for better or for worse, are visionaries and set out to do things that other simply do not do. On the other hand, there is also a prevailing wind in Canada and the United States that urges you to conform. To think, to act, to be like everyone else around you. This is probably best illustrated in the high school environment, where “in groups” and cliques are established very early on, and — for the most part — everyone wants to popular and no one wants to be shunned as an outcast. Even when you look at emo kids, goth kids, and other individuals with anti-establishment tendencies, it’s clear that some young people affiliate themselves with these groups in order to fit in, if only with other emo kids. He seemed to have the notion that the Faculty of Arts was for people who couldn’t make it into the sciences. Moreover, he associated the Faculty of Arts with fine arts (music, painting, sculpture, acting, etc.). Clearly this is not the case. I eventually decided on a major in Psychology and a minor in English Literature, because that material actually interested me. I tried taking first year economics and I was bored out of my mind (although I still got very good marks in both economics and mathematics). Being practical didn’t really appeal to me. The same can be said about what I’ve decided to do with my career post-graduation. I did reasonably well in Psychology, so again, a classmate asked me if I was going to pursue a Master’s Degree and eventually a PhD in the field. I eventually decided not to, because I couldn’t see myself doing that as a career. The expectation after graduation is to go find yourself a conventional 9-to-5 kind of job. I did, initially, but again, I found that it wasn’t really for me. I had experienced the 9-to-5 before during my co-op work terms, but the most enjoyable work terms were the ones where I was assigned a project and pretty much worked alone, when and where I wanted to. I did not like the structure imposed upon me at Enterprise Rent-A-Car as a management trainee. I wanted my own structure. I wanted my own freedoms. I suppose it was that line of thought that led to my career in freelance writing. To my knowledge, among my high school graduating class, I am the only one that is a full-time entrepreneur, running his own business. A friend of mine, Jenn Best, runs her own photography business, specializing in weddings mostly, but it is a side project for her. She has a 9-to-5 job as her primary source of income. Everyone else is either still in school or has found themselves in a pretty conventional and conformist kind of job: accountants, HR recruiters, software developers, retail store managers, and the like. Notice that he said “when you go back”, not “if you go back”. He may not know this, but I have absolutely zero intention of ever going back to the 9-to-5 grind. That’s not one of my goals. 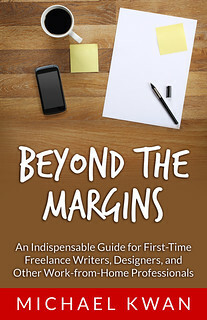 There are sacrifices and risks that are made by being a freelance writer — unstable income, lack of immediate social contact with co-workers, the increased difficulty in “growing” your resume — but the advantages and rewards, for me, far outweigh the negatives. If I were to pursue my writing career in a more conventional kind of way, particularly if I wanted to do something in journalism (I had a pretty heavy interest in doing that for quite some time), my life would be very different than how it is today. In all likelihood, if I were to do what most other aspiring journalists do, I would either be fetching coffee for a mid-range columnist or slaving away at a small town newspaper that no one cares about. Instead, I work from the comfort of my home, waking up more or less when I want to, working anywhere that has a broadband internet connection. There’s nothing wrong with being conventional — I still put on my slacks one leg at a time like everyone else — but there is definitely something that can be said about doing things a slightly different way. It’s all about calculated risks. PreviousWhat Game is Your Poison? NextFreelance Writing Job: Do You Love Cars? Play to Win or Don’t Play at All? Nicely written. I’m very like you, I’m good at math, but I think it’s very boring. Well, it’s good you made the choice not to have a normal job. Great article! While there are definitely benefits to being conventional, and some people seem to really need and enjoy it. However I feel like people get so caught up in what they think they should be doing that they forget to ask themselves what they want to be doing. There are a lot of options out there. I love my 9-5 job and I have time to work on side projects in my other interests! But I refuse to take a job that I don’t find interesting or rewarding, life is too short!